Whether you’ve tried Yoga before or not, you probably have some pre-conceived ideas about it - our advice is to drop them all! Your experience at the Sanctuary will not compare with any other Yoga experience, come fresh and open! These six keys are taken from the Hatha Yoga Pradapika, a classical hatha yoga text from the 15th century, and are fundamentals to successful studentship in Living Yoga, or any other endeavour for that matter. Complete beginner? Absolutely, this programme has been especially designed to give you the best possible introduction to yoga. Returning to yoga? Yes, the programme is a great way to ease yourself back into the practice and specifically to learn the Living Yoga Method. Seasoned yoga practitioner? Yes, the programme will give you a great understanding of the Living Yoga philosophy and style of practice, so that you can gain the most from the general Living Yoga sessions. In each of the weekly sessions you will learn a specific group of yoga practices including: postures, breath work and deep relaxation. You take this ‘yoga package’ away as your daily 20-minute home practice. You will be given lots of support to do this, including access to our new and unparalled online learning system with all the info you need to guide and motivate you through each week's practice, online video tutorials included. By week 8 of the programme you will be confidently flowing through the 25 postures, 2 breathing techniques and 1 deep relaxation practice of the Level 1 Living Yoga Method, as well as having cultivated a good understanding of Living Yoga’s life-positive philosophy! We will give you the tools and teach you how to use them, but it’s for you to bring the enthusiasm, perseverance and self-discipline to make a real and lasting change in your physical and mental wellbeing. This means making a sincere and heartfelt commitment to practice 20 minutes a day for the duration of the course and have the capacity to attend the first 4 sessions of the programme followed by at least 3 of the remaining 4 sessions. It is this dedication to your own self-transformation that will allow you to draw the greatest possible benefit and life enhancement from the programme. Everything you need is already here for you at the Sanctuary, including mats and cushions. Simply bring yourself in clothing you feel comfortable to move around in. What about after I complete the Beginners Programme? Graduation from the Beginners Programme entitles you to join the on-going Level 1 Living Yoga Sessions, where you can continue to deepen and refine your practice. * Please note that this course is not appropriate for pregnant women, we would instead recommend you find a specific Pregnancy Yoga class. Email us stating your preferred course date - you will receive an email reply with payment instructions to complete your booking. Your booking is complete once the course fee of £95 has been received. Course fees are non-refundable / non-transferable should you be unable to attend or complete the booked course for any reason. Our standardCancellation & Refund Terms apply. 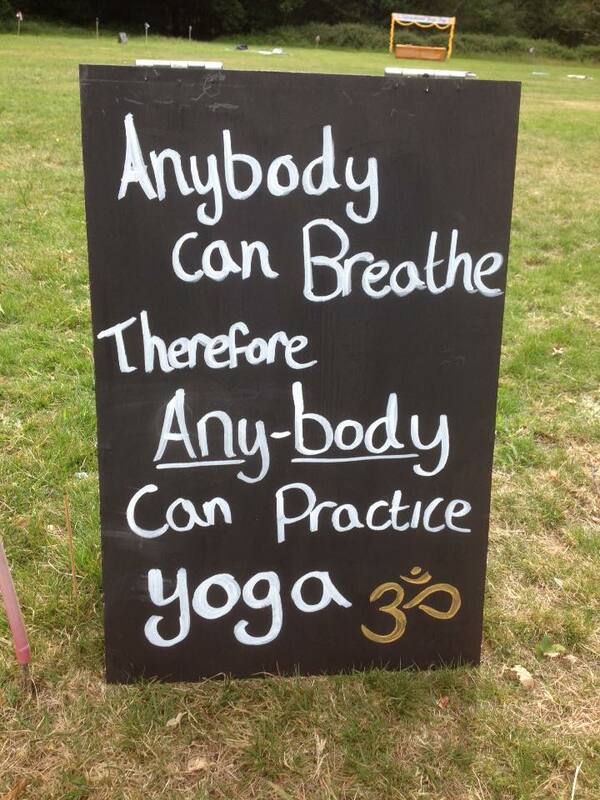 "This is no 'run of the mill' yoga course - I feel fresh and alive, I love the practice." Andy. "I found the Sanctuary Beginners course truly inspirational. It brought a balance to my life very early on and helped me find peace both mentally and physically." Marie. "After my first session here I knew I had started on a deep and meaningful journey. Thank You." ~ Lorraine after her first visit.